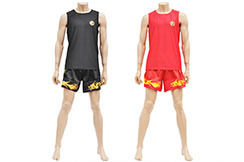 Chinese boxing (sanda) short made of synthetic fabric. 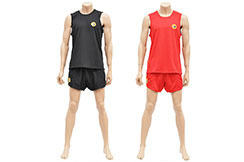 This is the most common model used for competition (becama appointed on 2009). 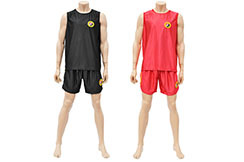 Short with yellow elastic on the waistline and official badge of the federation. 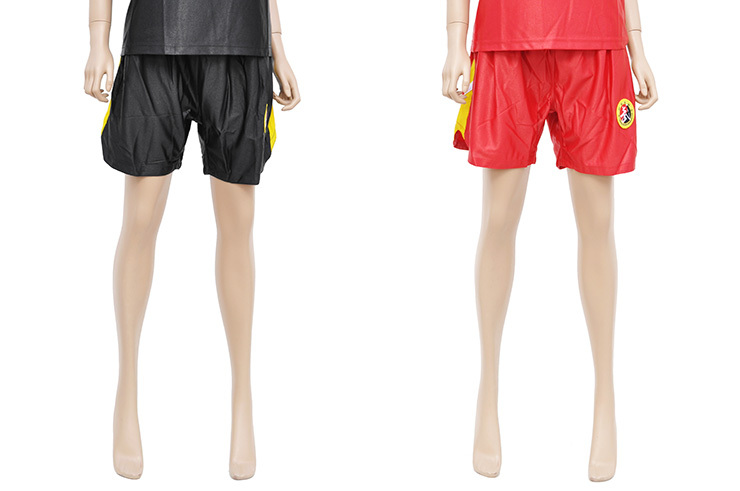 Black or red color, sizes from 1m40. 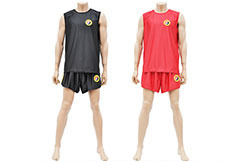 Sanda boxing outfit, this is the official model weared on 2010 by the Chinese national Sanda team. 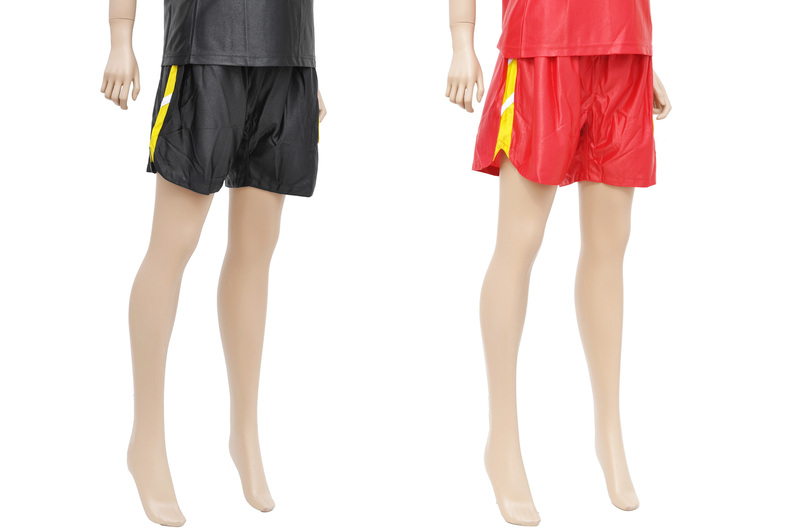 Uniform made of synthetic fabric (terylene) in two pieces, a short with yellow elastic on the waistline and a t-shirt with low-neckline and without sleeves. 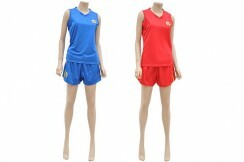 Terylene woman Chinese boxing (sanda) outfit made with synthetic fabric, including a short, a sanda top and shorty. 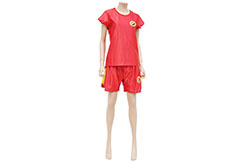 Chinese national Sanda team official outfit. 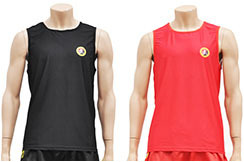 Sanda boxing short, this is the official model weared on 2010 by the Chinese national Sanda team. 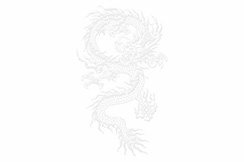 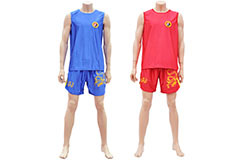 Sanda Dragon boxing top, this is the official model weared on 2010 by the Chinese national Sanda team. 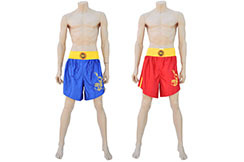 Sanda boxing uniform that includes a short and a t-shirt that are both in a united color. 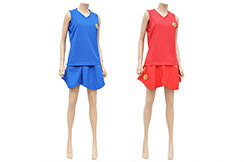 Made of synthetic fabric (terylene), yellow elastic on the waistline.